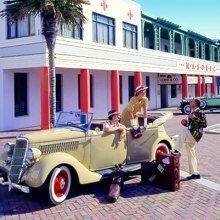 Napier is a beautiful art-deco city on the East Coast of New Zealand. 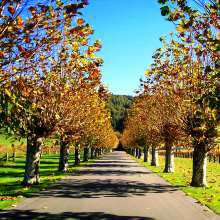 It’s New Zealand’s oldest winemaking region and, with over 70 wineries, is known for its award-winning red wines. Devastated by a large earthquake in 1931, Napier was rebuilt in the style of that time and is now recognised for its world-class collection of art-deco buildings. Napier enjoys a warm climate which produces beautiful fresh produce, epicurean delights and wonderful gourmet experiences. 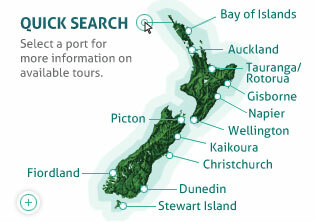 New Zealand Shore Excursions provide a wide range of cruise day trips click here for further port options. It is a 2 hour tour, a minimum of 4 stops, covering everything that is great and wonderful about our beautiful city Napier. 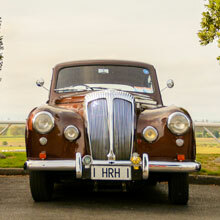 Whether you want to experience the Art Deco City of Napier or the picturesque village of Havelock North, stunning coastal routes with gorgeous scenery, local artisan food producers, or choose from dozens of wineries in the area - we have it all covered. Our driver/guides are familiar with all the local landmarks and will match your tour to what interests you most.